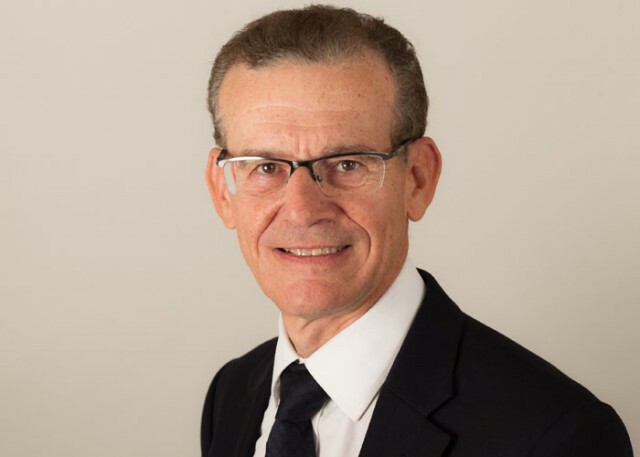 "masterful at strategy, brilliant in meetings and a provider of extremely clear advice, when Colin speaks, the court listens"
Colin Edelman QC specialises in high value complex commercial disputes with an emphasis on insurance, reinsurance, professional indemnity and energy. He has been involved in a number of high profile matters affecting the London and international insurance markets, including disputes arising out of most of the major natural disasters and financial collapses of the last decade. Colin has written and lectured extensively on issues affecting the insurance and reinsurance market. In 2008 he was authorised to sit as Deputy High Court Judge (Queen’s Bench Division) and in 2012 he was authorised to sit as Deputy High Court Judge in the Commercial Court. Colin was appointed Chairman of the Board of Directors of Bar Mutual Indemnity Fund Ltd as of 1 April 2013. Colin has been a Director of Bar Mutual since 2007 and a Deputy Chairman since 2009. Colin was voted the Chambers UK 'Insurance Silk of the Year' in 2007, 2010, 2015 and 2017, as well as being regularly shortlisted as 'Professional Negligence Silk of the Year', winning the award at the 2014 Chambers UK Bar Awards. A number of Colin’s cases have consistently been listed by The Lawyer as Top Cases of the Year. Renowned in the field of international arbitration for his wealth of expertise in the full range of arbitral disputes, he specialises in commercial matters, especially insurance and reinsurance claims. He regularly acts as sole arbitrator under the rules of leading institutions and has handled hearings taking place across the globe. Renowned leader at the Insurance Bar, described by one source as "the best barrister in the market by far" and by another as a "star performer, who raises the game for the entire set." He wins praise both for his strength as an advocate and as an arbitrator, and continues to be involved in insurance and reinsurance disputes of the highest order. The Chambers UK Bar Awards selected Colin as 'Professional Negligence Silk of the Year' in 2014 and 'Insurance Silk of the Year' in 2007, 2010 and 2015, recognising his continued accomplishments in the insurance field. Colin is recognised as a leading silk in insurance and reinsurance, his principal area of practice. He has won the Chambers UK ‘Silk of the Year’ award four times since 2007, most recently in 2017. His insurance and reinsurance cases continue to include substantial disputes. Away from Court and Arbitration; One of Colin's undoubted highlights for 2015 was his part in an unprecedented alliance of key players in the UK insurance industry (including Mactavish, Lloyd’s, Lloyd’s Market Association (LMA), International Underwriting Association (IUA), the Association of British Insurers (ABI) and Airmic). The Enterprise Bill includes, at clauses 20 and 21, provisions for the introduction into insurance law of a contractual obligation on insurers to pay claims within a reasonable time, for breach of which compensation to policyholders may be payable. The key players wrote to Business Minister Baroness Neville-Rolfe expressing support for the inclusion of this clause in the Enterprise Bill, subject to certain recommended amendments. The bid to form a consensus across the insurance market was orchestrated and driven by Mactavish. The support from both sides of the insurance industry and the recommended amendments were based on an Opinion provided by Colin (assisted by Richard Harrison, also of Devereux Chambers) on the instructions of Mactavish. The ground-breaking Opinions were published and debated in the House of Lords. This led to the Government adopting amendments proposed by Colin and Richard to the Insurance Act 2015 and Limitation Act 1980 and if (as is likely) the new laws are passed in 2016, the Opinions will have been instrumental to the introduction of key features of the first statutory changes in commercial insurance law in over 100 years. Other significant matters Colin has recently acted in include disputes arising out of the 2007 Californian Wildfire losses, Hurricane Ike losses, US pharmaceutical and chemical industry product liability claims, US petroleum product additive pollution liabilities, losses resulting from political disturbances in Bangkok (reinsurance), employers' liability for asbestos related disease (reinsurance) and solicitors’ liability for mortgage fraud losses. Highlights include the EL Trigger test case litigation, Teal v WR Berkley, Zurich v IEGL and Versloot Dredging v HDI Gerling all of which have proceeded to the Supreme Court. Colin has also been involved in important professional negligence cases and some of these cases are described below. Perhaps one example of his market leadership is his role in Bar Mutual Indemnity Fund Ltd - in 2007 he was appointed a director, in 2009 he was made a Deputy Chairman and in 2013 he became the Chairman, demonstrating the regard in which his peers hold him. He has provided advice to a captive insurer of a leading professional group. Chubb Insurance Company Of Europe S.A. v iSoft Group plc. As well as acting as an advocate in arbitrations, Colin now also regularly sits as an arbitrator in international and domestic insurance, reinsurance and other commercial arbitrations. By July 2016, he had been appointed either as a party-appointed arbitrator or as a sole arbitrator or tribunal chairman on about 150 occasions. His appointments encompass domestic and international arbitrations, including many appointments under Bermuda Form insurance policies. Colin has acted as a mediator in insurance and professional negligence disputes with a good record of achieving a settlement between the parties through the use of innovative approaches to the mediation process and he has advised and assisted solicitors in the mediation of cases. He has also acted as a neutral evaluator. Colin has acted as a mediator in insurance and professional negligence disputes with a good record of achieving a settlement between the parties through the use of innovative approaches to the mediation process and he has advised and assisted solicitors in the mediation of cases. He has also acted as a neutral evaluator. Court of Appeal decision on insured perils and excepted perils under the Institute War Clauses. What do Insurers need out of ADR?